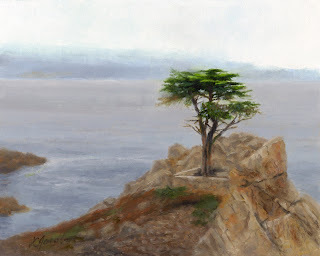 This Cypress is a monument to Carmel. A very popular site. We took a trip to Carmel and stopped here to take in the view, as did a lot of people. I really liked how the fog in the distance looked and how the cypress really stood out. God does beautiful work!